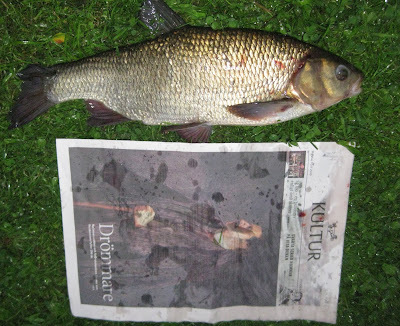 Another visit to Leksand in Dala rna,at the banks of Dalälven river ended up with accidently(as usual)catching massive ide (thanks,Alan).The river was fish wise unexciting,just couple of tiny perch caught on ledgered worm after hours sitting around. 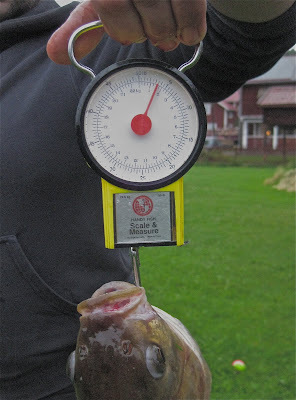 It was caught on the stick with attached line,float and hook that was for Suso to trash around,with bit of corn for colour effect.It clicked 1.6kg!!! 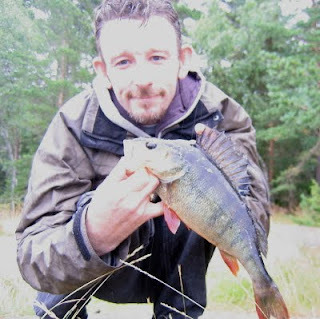 with approx.45 cm length.Amazingly enough at the same spot was captured possibly the same fish 2 years ago,in similar manner.Back then it had 1.45kg.Or maybe I wish that white fish can be territorial as well.With absolute lack of its own species or another (rudd,bream,pike etc.) 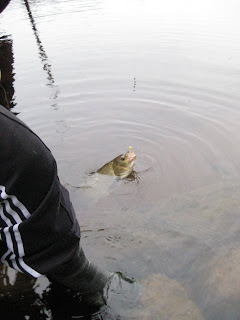 in the neighbourhood of jetty it was the only thing I ever spot in the water. 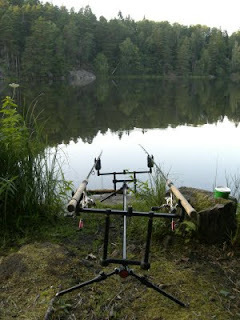 A warm still day, not a lot going on fish wise! 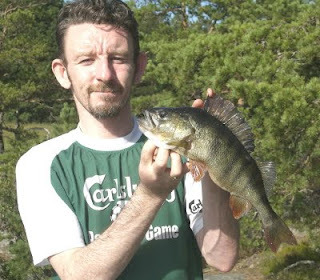 A couple of days spent on Möya on the Stockholm Archipelago saw me fishing a small lake at the north of the island I know holds some lovely Perch. 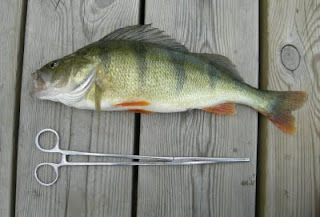 Wet conditions saw me spend just a couple of hours fishing legered worm in the late afternoon, a lot of small perch taken before I eventually struck into a powerful fish that gave a super scrap on the quivertip rod. 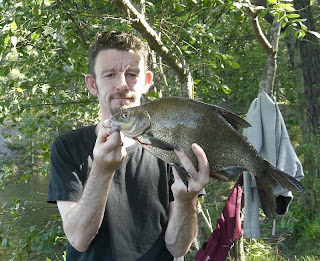 The fish, a really dark coloured individual, tipped the scales at 1lb. 13oz.